His Banner over us is love, thank you Angel! “Sing to the Bride”…was a prophetic word given to a worship leader this past weekend . Posted in Spirituality, Uncategorized and tagged God, Love, Prophecy, Spirituality, worship. Bookmark the permalink. What a testimony T. Let this Word guide us as we get our next album together. To be used as a minister of love and grace, wow! Diana, the original title to Come Away was To The Bride.The Lord gave me that entire song, harmonies, key, lyric and melodywithin about 10 minutes. It’s the one song that I’ve written that I won’t change. 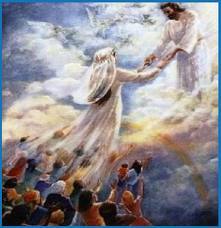 I believe it is a message to His people-The Bride�from Him. I wrote it in 1989, as I was recovering from pleurisy that left me withInsulin Dependent Diabetes. I had to learn how to live with the disease,before I could go back into Manhattan to work. The Lord used this time to bring me back to my senses and realizewhat relationship with Him meant. It’s been a steady, and sometimes slow, but never-ending walk toward Him eversince. Thanks Diana!! Your music will touch many lives!! !